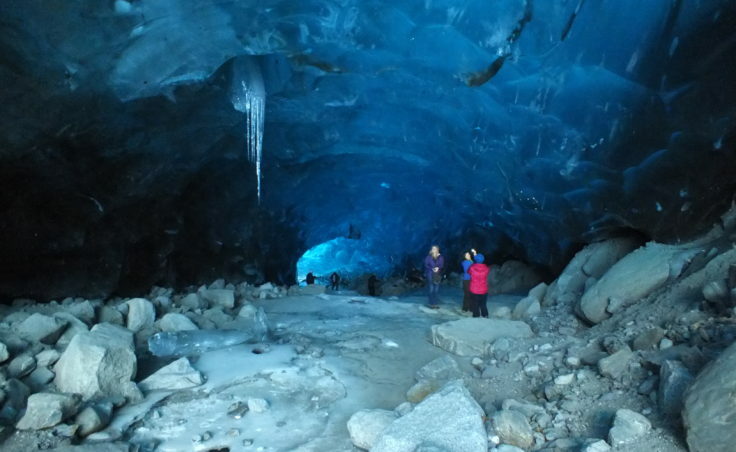 You may have seen pictures of the Mendenhall Glacier ice cave flooding social media over the last few weeks. 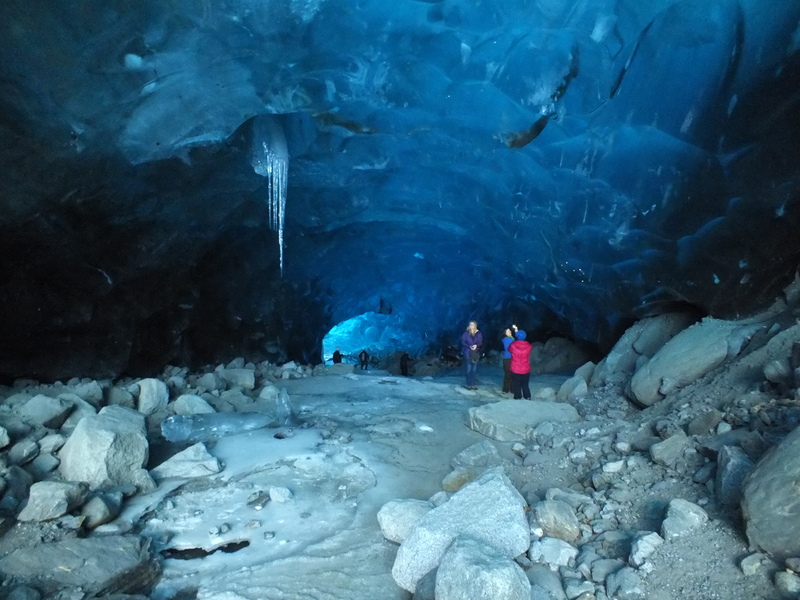 National news websites have even recirculated pictures of Juneau residents standing in awe inside the blue-tinted ice walls or looking up into daylight through a giant vertical shaft in the back of the cave. But is it a safe place? 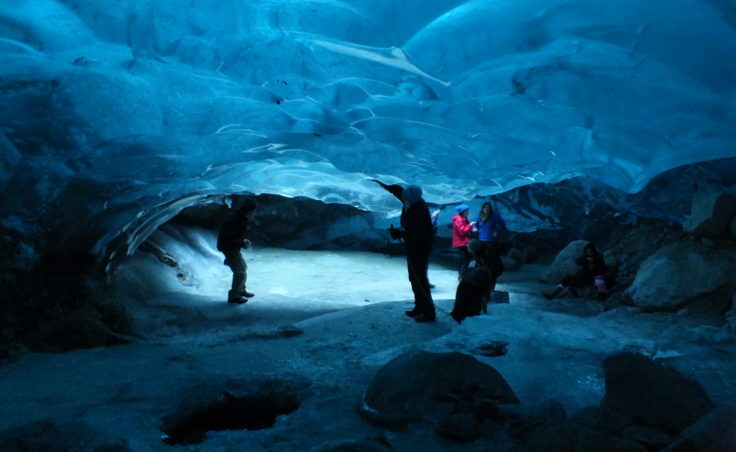 The ice cave is located near the western terminus of Mendenhall Glacier. While the Forest Service is not encouraging people to visit the cave, it’s not prohibiting access either. 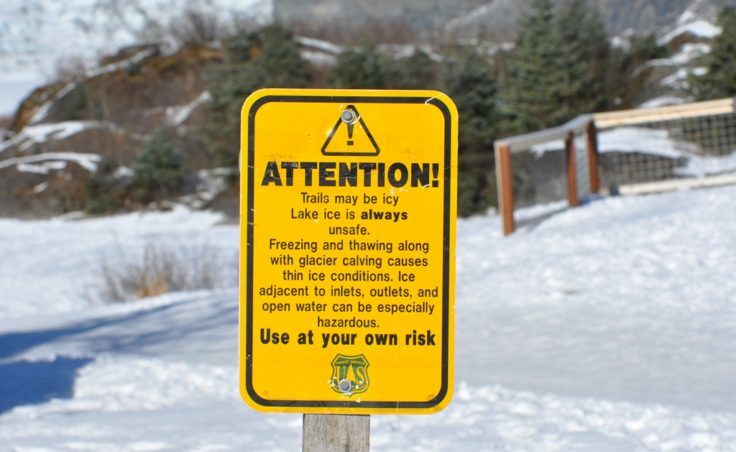 In case of an emergency, it will be Capital City Fire/Rescue – not the Forest Service – that will arrive on scene and try finding a victim in distress in the vast expanse of the glacial area. 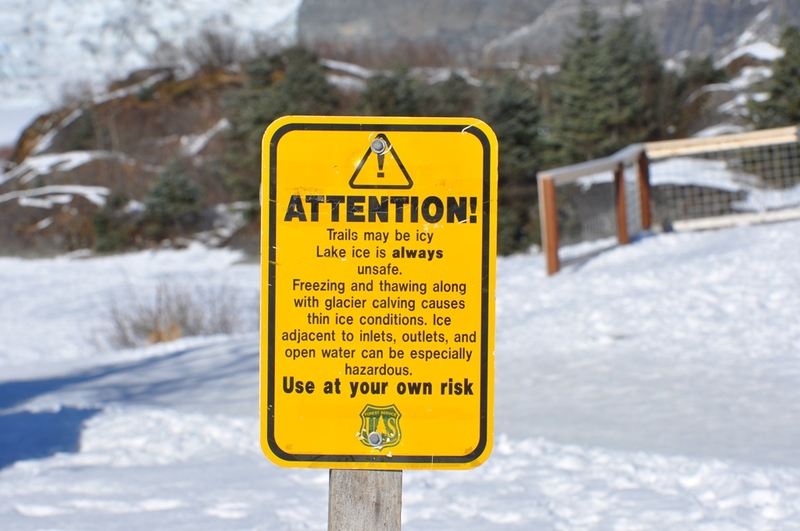 Signs are posted warning visitors of the dangers of the glacier and lake ice, part of which she calls a dynamic environment. 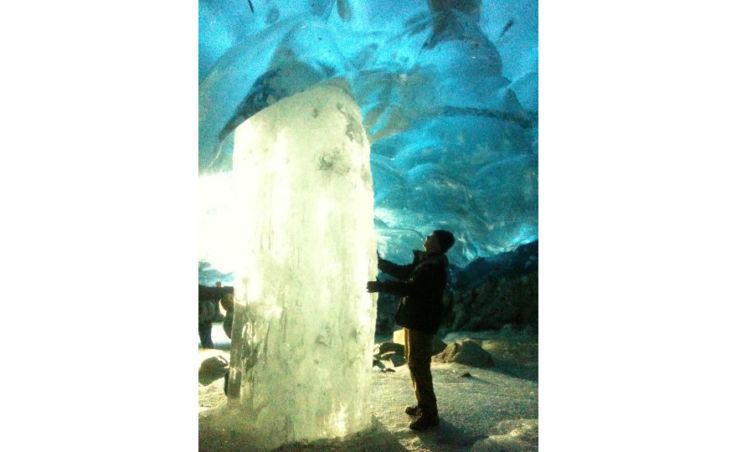 Jason Amundson is associate professor of geophysics at the University of Alaska Southeast and has researched tidewater glaciers and glacier ocean interactions. 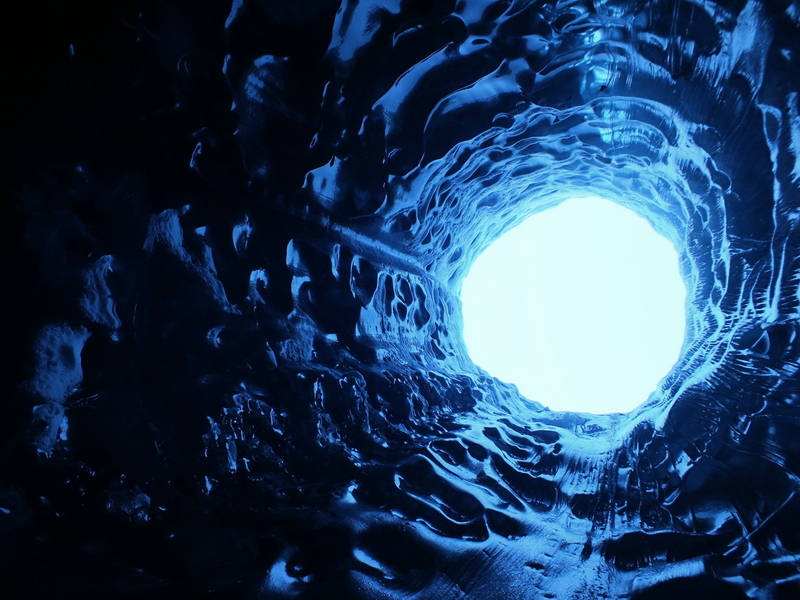 He said the cave was likely formed by a stream coming down off of Mount McGinnis. Another stream on the glacier surface found a fissure or crack and, over time, created the giant circular shaft or moulin that allows daylight into the far, accessible end of the cave. 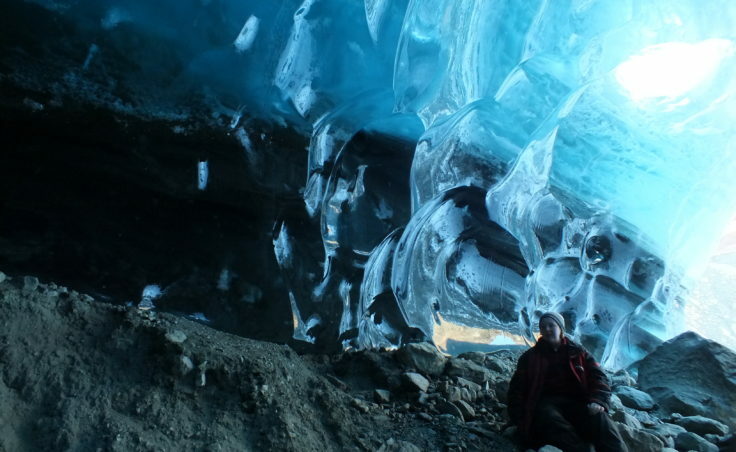 Amundson said it’s a fairly common feature on glaciers. 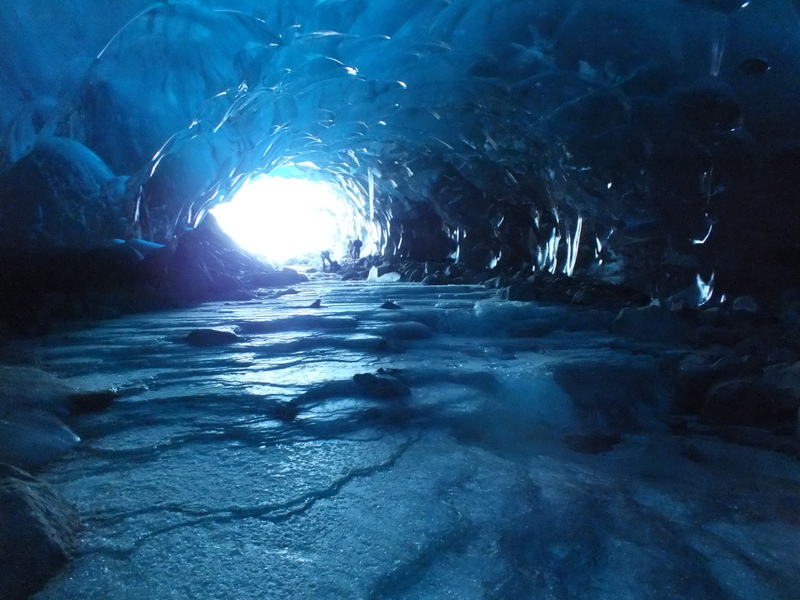 Amundson said different layers of the glacier may flow at different rates. 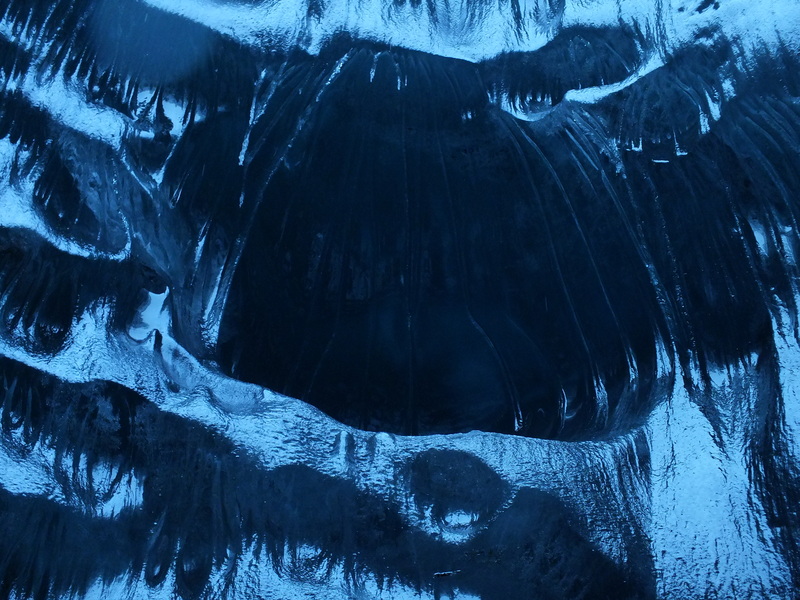 It’s the same for the center versus the edges where friction with the ground and surrounding hills can slow the ice movement. 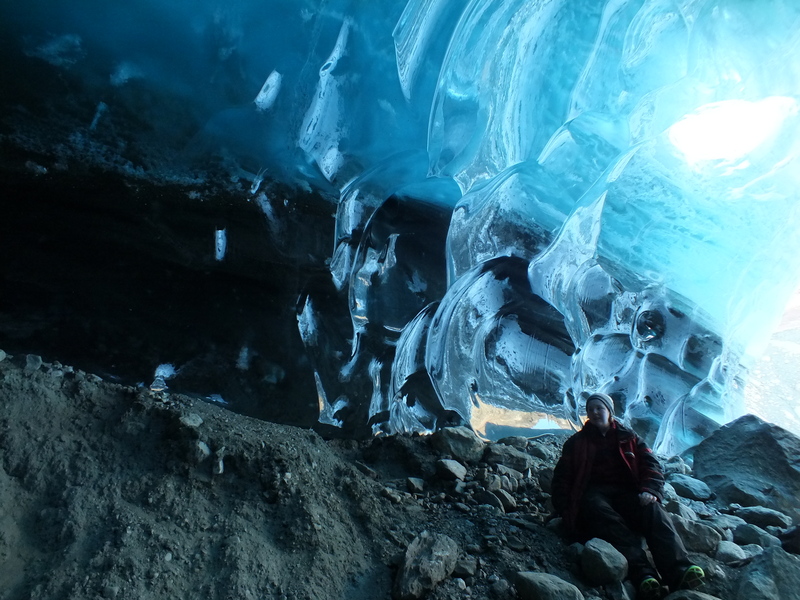 UAS environmental science associate professor Eran Hood believes the ice in that area may be over 200 years old. 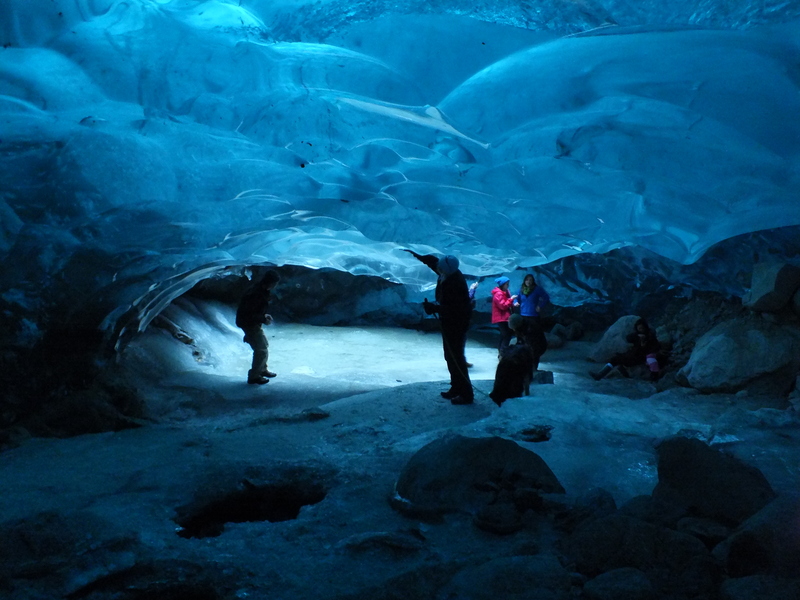 Visitors to the glacier can be deceived by the apparent stillness and sublime beauty of the area. The Mendenhall calves all the time, even in the winter. 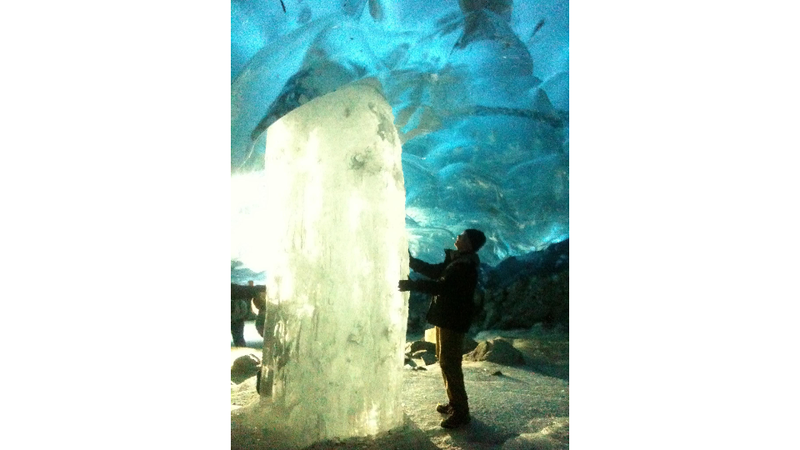 Craig said the five-story high, snow-covered blocks of blue ice near the western edge broke off about a week ago. 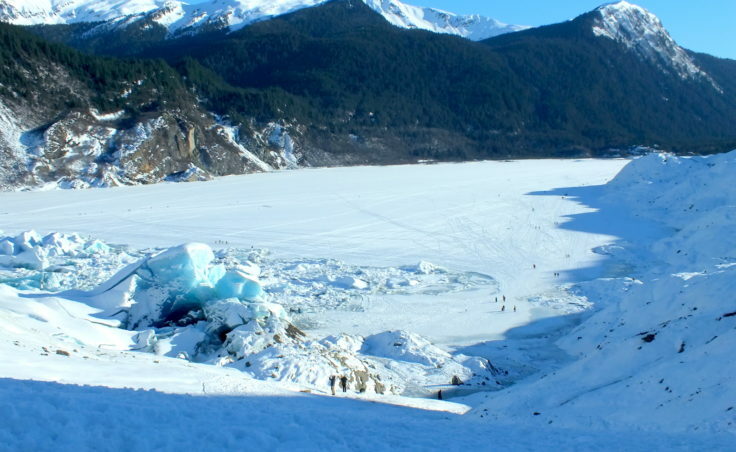 Calving events can cause lake ice to undulate or even shatter over large areas. 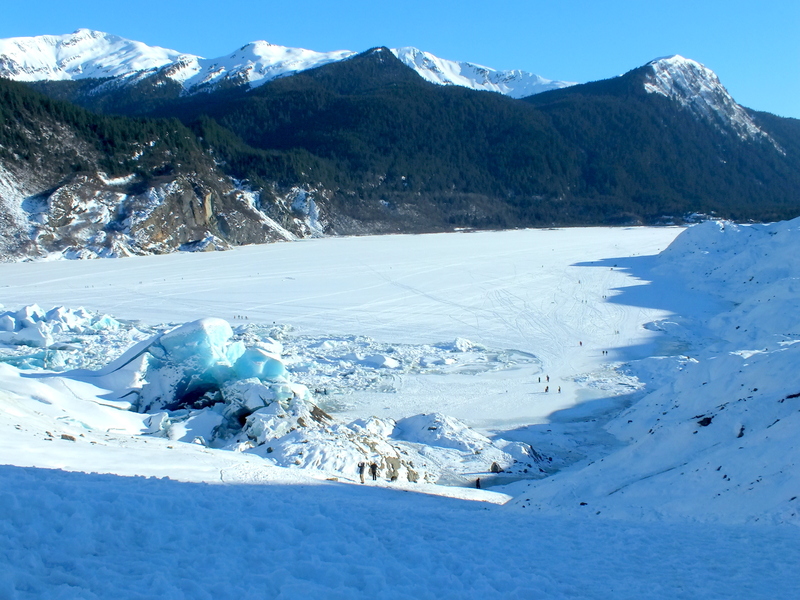 Landslides off Mount Bullard near the eastern edge of the glacier and the slow, constant movement of the glacier could mean perpetually thin and unstable lake ice at the terminus. 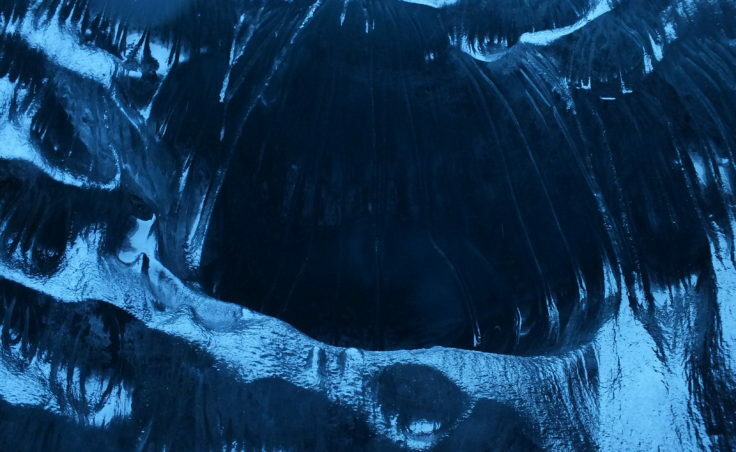 Underwater currents can also erode the underside of ice-locked icebergs, causing them to unexpectedly flip or roll with a change in the center of gravity. Laurie Craig said she will never cross the lake ice. 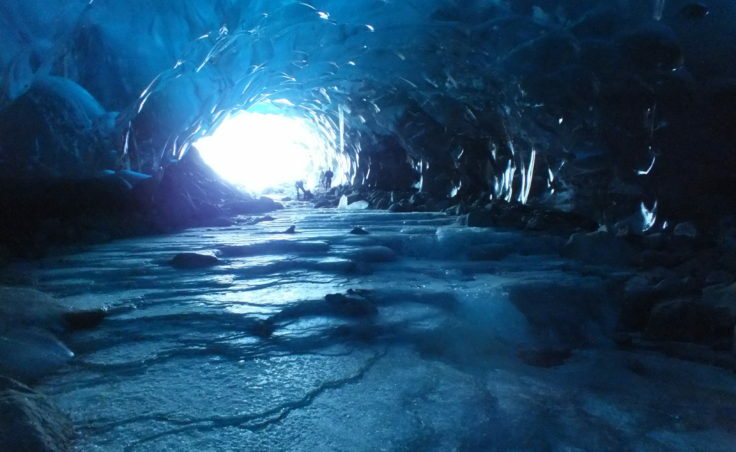 While the interior of the ice cave is located on land and several dozen feet under the glacier, the overhead ice at the entrance may only be a few feet or even several inches thick. Eran Hood said he escorted a National Geographic photographer to the back of the cave two years ago, but he won’t take his child there. 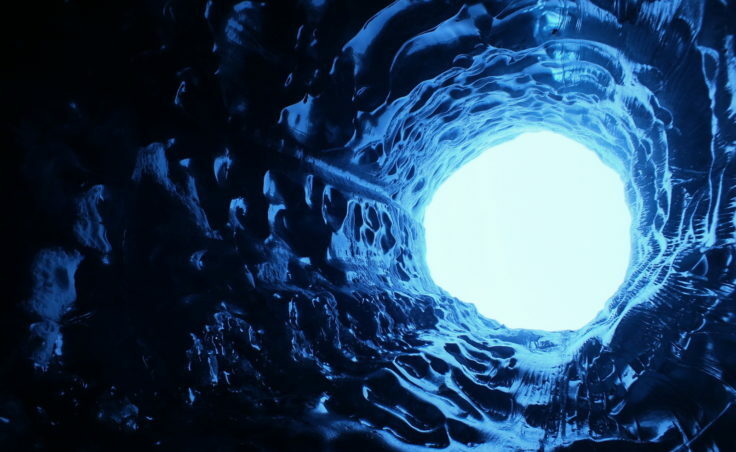 Hood said the ice that’s deep inside the cave may be relatively solid, but there is always a risk of collapse. 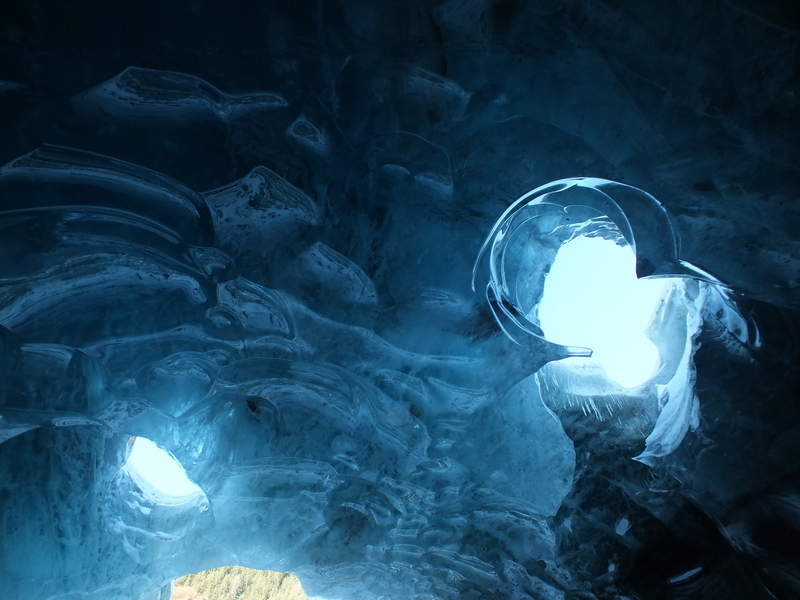 Below is a video from Firefight Films which appears to include drone shots of the Mendenhall Glacier ice cave that were filmed during the summer. 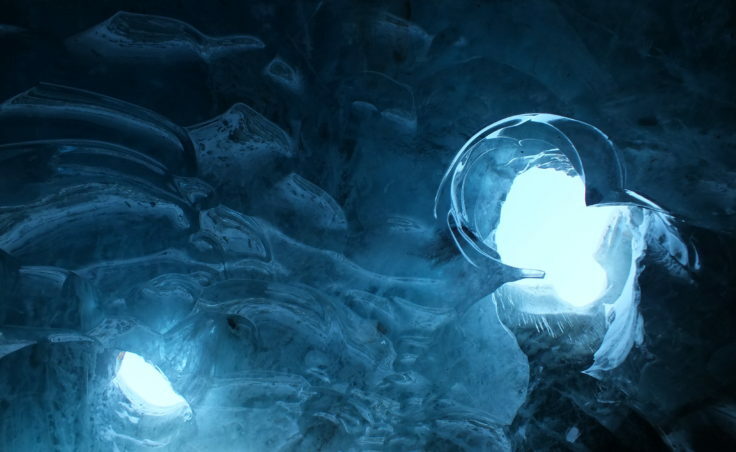 Near the end of the video is a shot that seems to show the apparent thickness, or lack thereof, of the roof ice at the cave entrance. American Rivers, a national advocacy group opposed to mining and energy development in wilderness areas, says the two Southeast Alaska rivers are "at a crossroads."